A national best-seller, Dead Aid unflinchingly confronts one of the greatest myths of our time: that billions of dollars in aid sent from wealthy countries to developing African nations has helped to reduce poverty and increase growth. In fact, poverty levels continue to escalate and growth rates have steadily declined - and millions continue to suffer. Debunking the current model of international aid promoted by both Hollywood celebrities and policy makers, Dambisa Moyo offers a bold new road map for financing the development of the world's poorest countries. 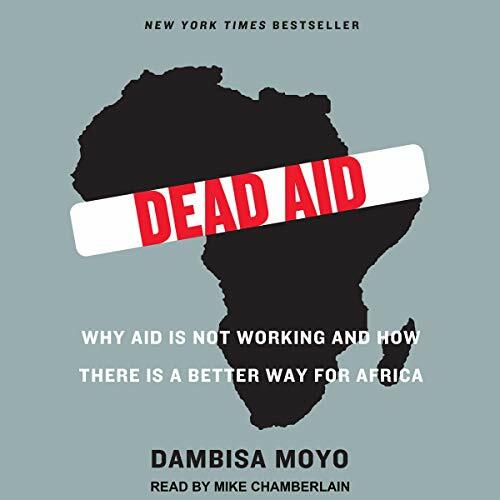 Much debated in the US and the UK on publication, Dead Aid is an unsettling yet optimistic work, a powerful challenge to the assumptions and arguments that support a profoundly misguided development policy in Africa. And it is a clarion call to a new, more hopeful vision of how to address the desperate poverty that plagues millions. A dangerous right-wing US view of African develop. Stop aid. Trust international financial institutions and rating agencies. Have African governments pay 12% interest to hedge funds instead of giving aid. I don’t buy it.